Roulette 5 is a version of American Roulette available at WinADay Casino. Roulette 5 is a variation of roulette that allows the player to play on up to 5 wheels at once. Roulette is already an exciting game by itself, Roulette 5 has 5 wheels so 5 X the excitement compared to single wheel Roulette. With table limits of $0.25 – $500.00 and 5 wheels, Roulette 5 will appeal to players of all skill levels. First head to WinADay Casino and register an account. Then go to table games and select Roulette 5. Before starting a round you will need to determine how many wheels you would like to play with. You can play on a single wheel or any amount of wheels up to 5 wheels. You do this by selecting the the number of wheels on the Wheel Selector at the bottom left of the Roulette 5 table. Roulette 5 follows the same playing patterns as all other Roulette games. So your next step is to bet on where you think the ball will land. Once you place your bet you wait until the ball lands. If the ball lands in a slot of the number or group of numbers you bet on then you win that round. You can then choose to Rebet the same numbers or choose new numbers. You can also change the number of wheels you play with for each round. WinADay Casino is the only place that offers Roulette 5 and they accept all players no matter their location. 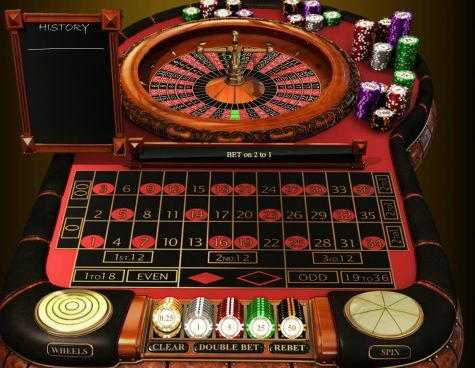 In addition to Roulette 5 WinADay also offers a European Roulette game called La Roulette. Using a browser based casino, WinADay Casino is a great Online Casino with a smooth running engine, great graphics and an overall fun experience. Basket Bet – A bet on 0, 1, and 2; 0, 00, and 2; or 00, 2, and 3. The chip is placed at the intersection of the three desired numbers. Top Line Bet- A bet on 0, 00, 1, 2, and 3. The chip is placed either at the corner of 0 and 1, or the corner of 00 and 3. Column Bet – A bet on the column of numbers that run vertically. All numbers below 1, all numbers below 2 or all numbers below 3 are the 3 options you have. So head on over to WinADay Casino and check out this hot new game.